** NEW** El Bosque Hacienda is a wildlife refuge for different species of birds, reptiles and mammals located on the road to Jaco Beach, between the city and the beach. Here you will have the experience of seeing green iguanas, sloths, monkeys, coaties and others in their natural habitat, eating directly from our fruit trees around a total of 150 hectares. Enjoy the singing of beautiful birds which will be your witnesses while you take relaxing walks through our natural trails and bridges. Dare your spirit by hiking deep down the jungle crossing different kinds of eco-systems. We are located 20 miles away from the Reserva Biologica Carara and the Rio Tarcoles known by its exotic crocodiles. We offer our guest the opportunity not only to enjoy of the forest but also to visit popular beaches nearby such as Jaco, Herradura and Esterillos known by its nightlife and surfing. We are very close to multiple attractions for adventure, only minutes away from 2 canopy tours, air tram, horse riding, bungee jumping, rappel, paragliding. We offer special tours for you, just send us an email and we will get you an adventure pack with a different activity each day. Like mountain biking or mountain boarding? We have over 20 km of natural trails where you can have blast. Bird watching, trekking all this at our lodge. If you are on your way to Manuel Antonio but you don´t want to spend 3 hours driving, why not spending a night with us? Relax for a night and enjoy the nature and the next morning continue to Manuel Antonio. 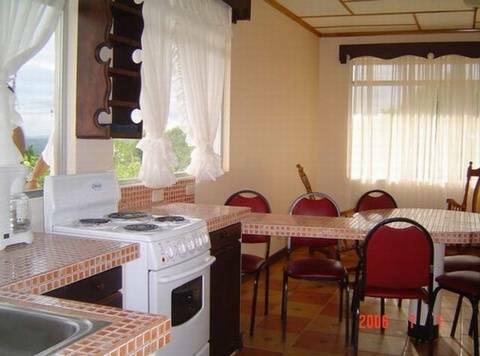 Our facilities: Each of our villas has its own fully equipped kitchen and private restrooms with hot water. 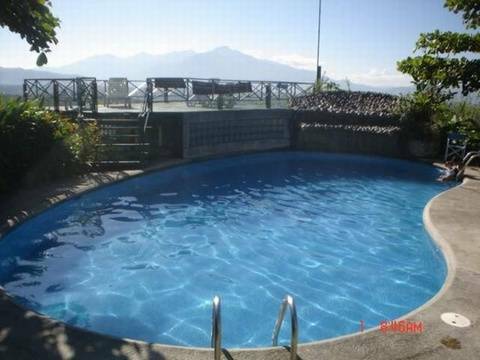 We have 3 swimming pools (one for kids), with 2 decks for sun bathing. 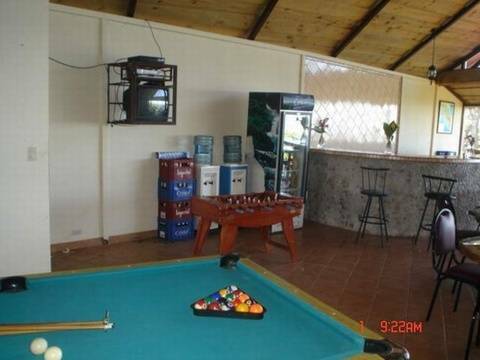 Common room with satellite TV, DVD, darts, pool, fossball table and bar. We have an amazing 180 degrees view of the mountains and ocean, incredible sunsets. You better bring your camera. Our Services: Free Coffee in your own villa kitchen, Free Storage rooms(no access for other people), Spa (massages) 5 day notice, Free towels, 24 hour reception (send us an email to know the time) and no curfew, Travel Desk/info and tours, Hot showers 24/7, Guest Kitchen in each villa, Multiple BBQ areas, Laundry Area, Extensive Green and protected areas. A property in the forest, Children friendly. Don't wanna cook? restaurant delivery at your own cabin. Things to do: Over 20 km of mountain bike trails, BBQ, information for tours of Bungee jumping, rappel, canopy tour, horses, tortuga island, crocodile expedition, and more. Groups over 10 people? We have special prices and packages including alimentation, guides, horse riding, bbq. tell us what you want to do and we will take care. Send us an email with your reservation code to confirm 3 night! Jaco(45 mins), Punta Leona, Doña Ana (25 mins) beaches, Turubari park (25 mins), Carara Park (20 mins), Original Canopy Tour 10 (mins). Orotina(5 mins) Near local bars and disco. We have swimming pool, s, trails into the forest, mountain biking trails, playground, pool and fossbal table, satellite tv, bar, and lot and lots of nature. 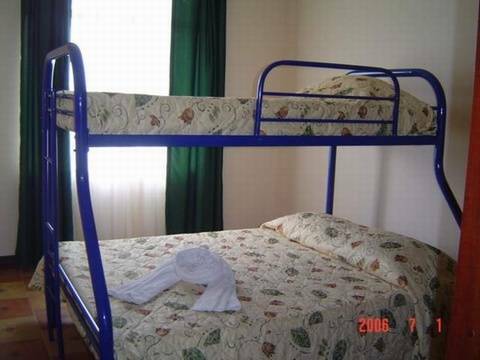 The private Triple rooms are independent, with restroom, kitchen and balcony. The kitchen has all utensils and refrigerator, microwave, cofeemaker, etc. Double and Triple shared are in our cabinas, contain a kitchen for the two rooms, and one restroom. The Cabinas are big and comfortable. Each Cabina has its own security box, fans, towels, linen. 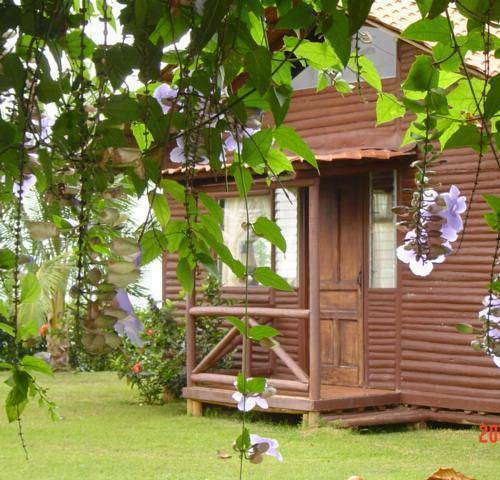 Our lodge is located in a rural area, next to Orotina which is a city under developing. Still it keeps it natural charm and you still have the chance to see animals in our place. Nearby Restaurant with express delivery in your at your room. Cencellation after 72 hours, no refunds. 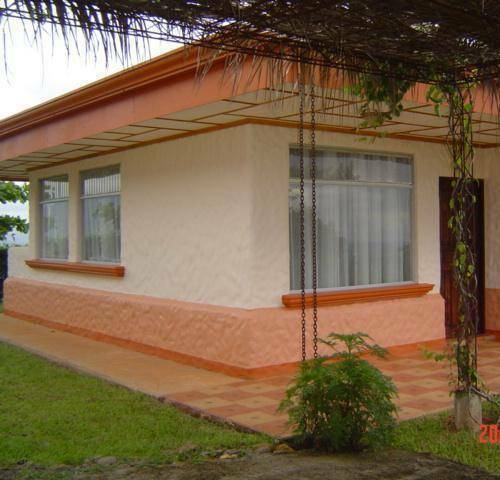 We are only 65 kilometers away from San Jose or 45 km from the international Juan Santamaria Airport. You must take the inter-American highway and turn right at the cruce de manolos, following the route to go to Jaco Beach. Once you reach San Mateos park it is 2. 5 KMs West from its Northeast corner. You will be able to find our sign at the street and from there it is only 400 meters on a ballast street. If you are driving to Manuel Antonio this is a great stop for a night before a long journey driving. By bus you can take the Jacó Beach and Carara Biological Station Daily express which departs from San José, From the Coca Cola Bus Station. Please ask the driver to drop you at San Mateo´s Park and from there is 2. 5 KM west. From the airport you can take a bus or a taxi to Coca Cola Terminal in San Jose. If you need us to pick you up we can arrange something. Buses from San Jose to San Mateo, and from San Mateo to Orotina, where you can take buses to Jaco, Hermosa, Quepos.